Coming up with a modern design and experience to better reflect the organization would be key, as would migrating the existing content to the new site. The new site would also have to be easy to use, easy to maintain, and flexible enough to support future growth and potential customizations. Our team worked closely with PPF to first gain a deep understanding of what their definition of success for the site would be, and then working together to ensure we obtained it. Updated design: A complete site revamp incorporating modern design trends and best practices. Ease-of-use: The site needed to be easy for clients to use, and for staff to maintain. Flexible: The site needed to be flexible enough to support a variety of features now, and have the ability to easily add new features in the future. 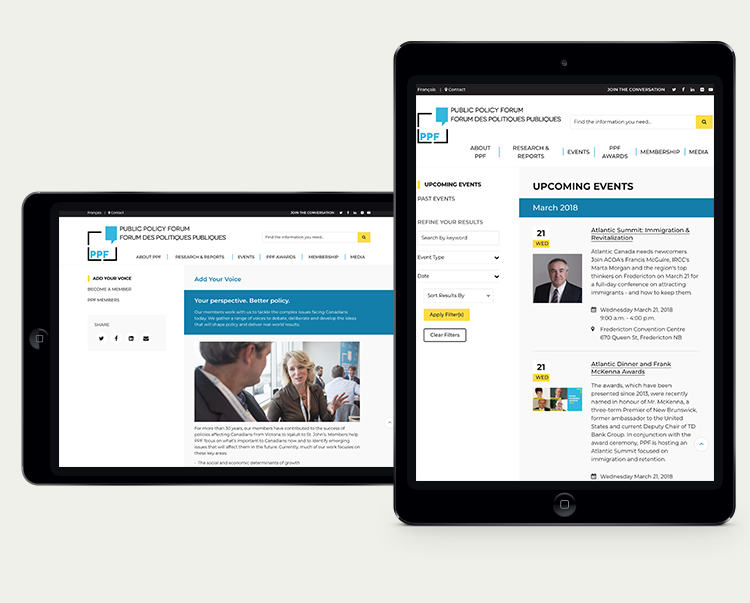 Responsive: With a large number of their users accessing the site via mobile devices, the site needed a responsive layout that would adapt to any screen size. Accessibility: The site needed to be accessible and comply to modern standards. 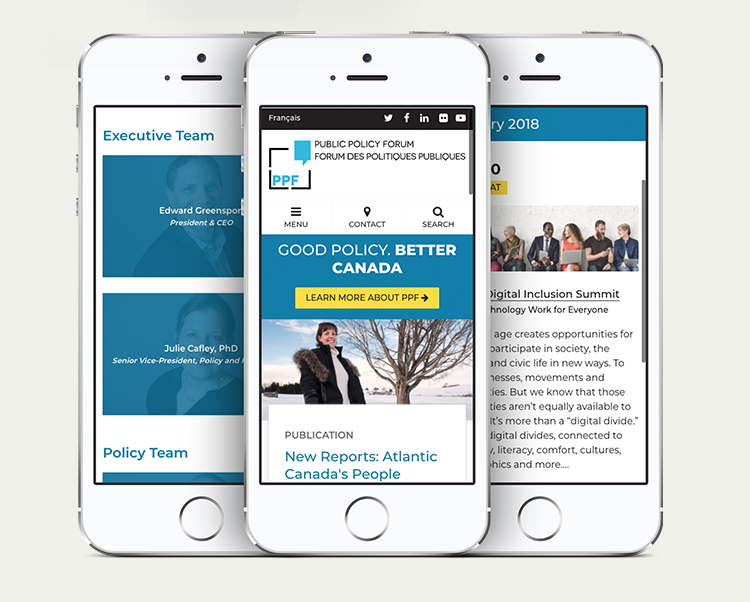 Bilingual: The site had to be fully bilingual in English and French, and it needed to be easy to manage English and French content on the administration side. Ease-of-use: in a single training session, the client's team was well on their way to being able to manage content for the site on their own, and perform most administrative tasks. Flexibility: through WordPress' well-supported library of plug-ins and add-ons, with little development effort we were able to customize the site through numerous value-added features that helped to ease site management, and improve the end user-experience. SEO and Analytics: WordPress supports numerous SEO and analytics plug-ins to help improve site rank in search results, and to better understand the audience. After existing content was migrated and a couple of training sessions were held to ensure PPF staff were comfortable using the system, the site was successfully launched. By all accounts, the launch has been a great success, a vast improvement over the original, and is in good shape to service PPF and their team for years to come. 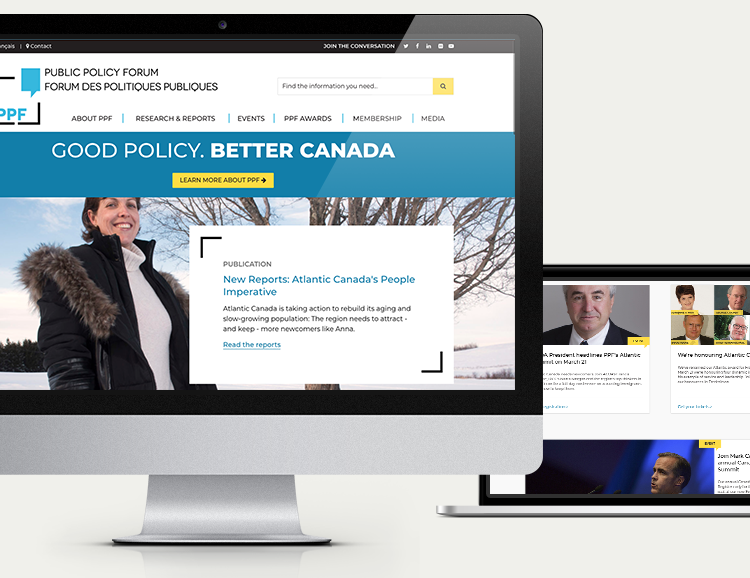 Working with PPF has been a great experience, and we're thrilled we created a site they are proud to represent themselves with.